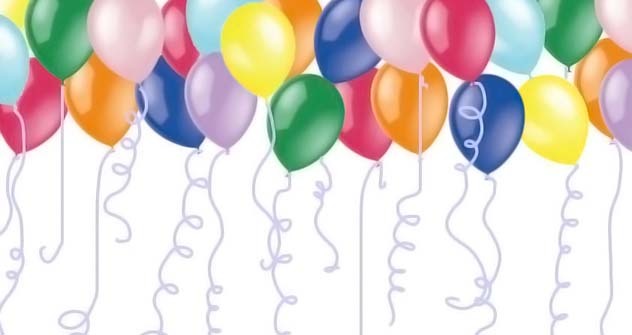 The United States has been losing ground as the world’s largest helium producer and exporter. Russia’s East Siberia, which contains up to a third of global helium reserves, may come out on top. Any kid whose parents have ever bought him a helium balloon knows about the chemical element. Industrially, helium is used in many high technology sectors of the economy. Applications include manufacturing of up to 80% of mobile phone parts, semiconductors, LCD flat screens, optical fiber, as well as nuclear power and space research. Liquid helium is used in medicine (for MRIs), for accumulating and storing electric power, as well as for manufacturing superconductor cables, high-speed computers and measuring devices. Helium technology is used to build magnetic-levitated trains that rise by around 10 cm above the rail track to travel at speeds of up to 600 kmh. Such rains exist in Japan and China. Current worldwide consumption of helium is estimated at an annual 175m cubic metres. The largest consumer include the United States with 80m cubic metres, Europe with 35m, and Asia & the Pacific with 35m. The United States also tops the leading helium producer. Russia accounts for just 3% of global production, thanks to a plant in the Orenburg Region. The lion’s share of Russian helium is exported to Europe, where it accounts for 22–23% of the local market, second only to Algeria with 45–47% and ahead of the United States (15 – 20%), Poland (8– 10%), and Qatar (7 – 10%). Consumption in Russia is limited to a mere 1.5–1.7m cubic metres per year. Experts, however, expect global consumption to rise sharply by 2030 to 300–310m cubic metres. Gradually depleting American deposits won’t be able to meet the demand. For the time being, the Americans have been pumping out helium from the Cliffside Storage Facility as a way to cope, but it will run out of reserves by 2017–2020. Russian experts don’t rule out the possibility that the United States will turn from a net helium exporter into a net importer as soon as in 2013. Russia, on the other hand, is only just starting to widely develop its East Siberian deposits. The development will increase the Russian share of the global helium market to 50% over the next 20 years. The region is home to high helium-content deposits, such as Chayandinskoe, Kovyktinskoe, Sobinskoe, and Chikanskoe, among others, with estimated combined reserves of 20 billion cubic metres. Compare this to Russian experts’ estimates of the remaining US reserves at just 7 billion cubic metres, or Qatar’s and Algeria’s at 10 billion and 8 billion, respectively. “Russia could become the largest global helium player by 2030 with annul supplies of around 150m cubic metres,” says Vadim Udut, CEO of Geliymash, a subsidiary of the Russian natural gas giant Gazprom. The Asia-Pacific Region is the most lucrative market for helium exporters. Consumption there has been rising by an annual 4–5% compared to 2–3% in Europe; China’s growth is at 15–20% per year. Russia will face competition in the region from Qatar and Algeria, both of which produce helium at their LNG plants. That said, being the closest of all to Asia and the Pacific, Russia will enjoy a logistics advantage. Mr Udut says that once refining of East Siberian gas starts, 75% of liquid helium will be exported to Asia and the Pacific, with the remaining 25% supplied to Russia and Europe. Mr Udut says his company is working on finding ways to deliver helium to Asia. “Last year, we were shipping liquid helium by truck from Orenburg to China via Zabaikalsk, while this year we are shipping to South Korea via Nakhodka,” he says. The Nakhodka base, however, isn’t scheduled to reach full capacity before 2013–2015, as it was originally designed to accommodate gas flows from the Kovyktinskoe deposit. The Kovyktinskoe development project envisioned construction of over 550 km Kovykta–Sayansk–Angarsk–Irkutsk trunk pipeline in addition to a gas separation plant and a helium plant. Gazprom, nevertheless, announced in the middle of this year that it sees no point in developing the deposit; RUSIA Petroleum, the bankrupted license holder for the Kovykta, has been scheduled to be put up for sale. The Nakhodka base will therefore need to be converted to handle helium supplies from different deposits. The helium production and export expansion plans are looking no less ambitious that those for creating a homegrown Silicon Valley in the Greater Moscow Area village of Skolkovo or developing a nano industry from scratch. Even if one of those efforts flops, success in the other two will allow Russia to become a key player in high-technology development worldwide.